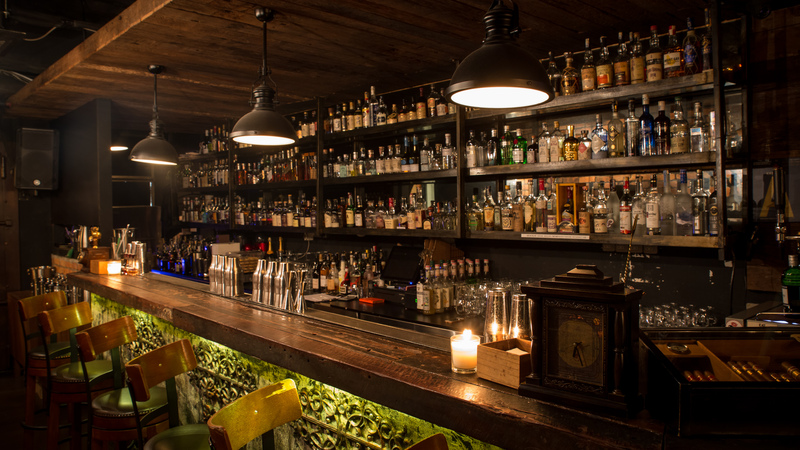 Situated in the affluent neighbourhood of Taman Sri Hartamas sits the Vault KL, a bar that thrives on being discreet. While barely noticeable during the day, it comes alive at night with music bursting through its walls. As far as vaults go, it’s meant to keep things in and that seems to be the plan for the Vault KL with many regulars coming back week in and week out. Vault KL has also been working on a brand new cocktail incorporating bamboo charcoal. 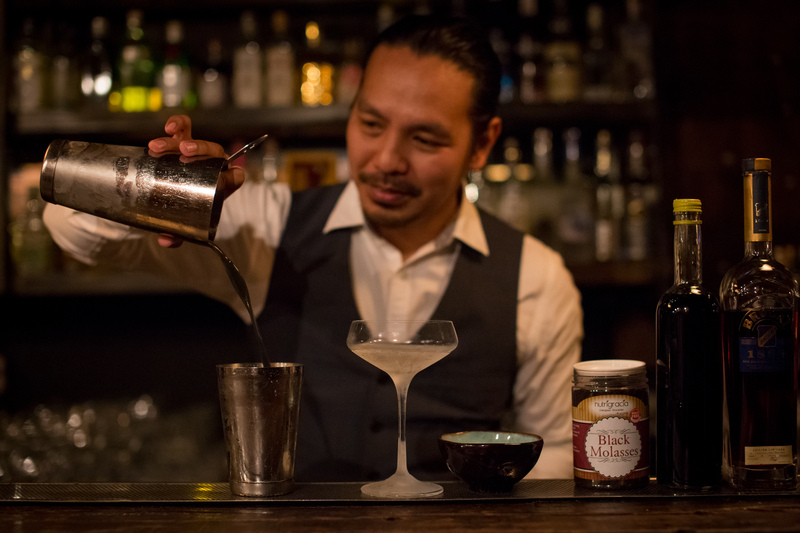 We sit down with Arsenio “Ash” Mariano Jr — the Bar Manager behind the cocktail and pick his brains on life as a bartender, his inspiration when creating the Black Diamond, and more. How many years have you been a bartender and what is the job like? I have been a bartender since 1993, so that would be 25 years. I don’t mean to sound like a broken record, but I never intended to be a bartender. Being fresh out of high school and in search of a job, the easiest would be to land a job in the service industry. I got my start in a hotel, which was where I learned how to do everything from the front office to housekeeping, waitering, and room service. 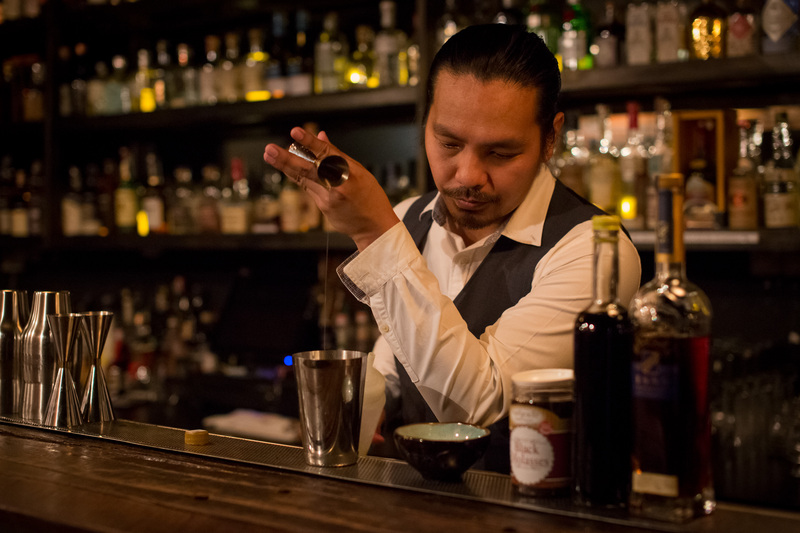 From there, I landed into bartending and I’ve been a bartender ever since. Back in those days, people used to tip and there was a very good tipping culture. Sometimes we’d even get more in a single night as compared to a basic salary. Of course, all this was pre-1997 when the Malaysian economy was booming. Through tips, I put myself through college and didn’t need to rely on my parents money. I have tried other jobs and nightlife has always been like a side job for me but eventually, it became my whole career. 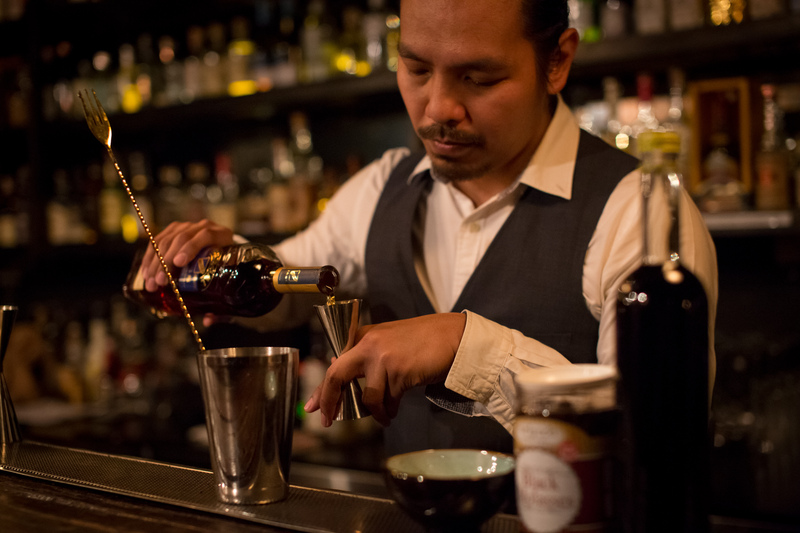 What is it about bartending that you love the most? The people. 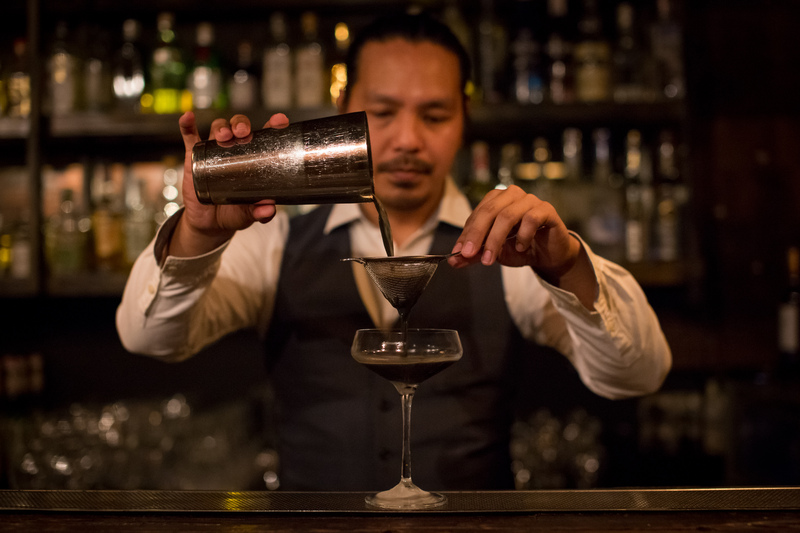 While there is a love-hate relationship between guests and the bartender, meeting new people is always great as I get to learn about different cultures from different places around the world. One of the best things about bartending is that you can go anywhere in the world and still land a job. This comes down to the global bar community that’s pretty huge and very welcoming. There are plenty of opportunities and travelling is an added incentive. Nowadays, the more you build up your reputation as a bartender, people will actually come to you, whether it’s being a brand ambassador and such. There are plenty of perks when it comes to being a bartender, but most people would only see me as just this. Even I still call myself a bartender even though I’m more a Bar Manager for the Vault KL. 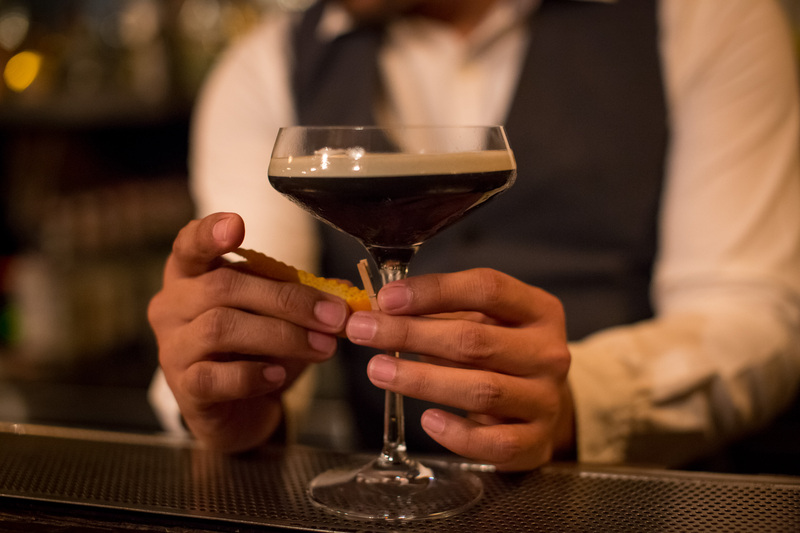 At the end of the day, I had my start behind the bar and there’s more to us than just making drinks; it’s about the entire experience from the moment a customer walks in to ensuring they are comfortable and getting the drinks they want, we’re here to make sure you have a good night and leaving happy. And how long have you been with the Vault KL? Two and-a-half years. Before this, I was part of the opening team for Nobu KL. 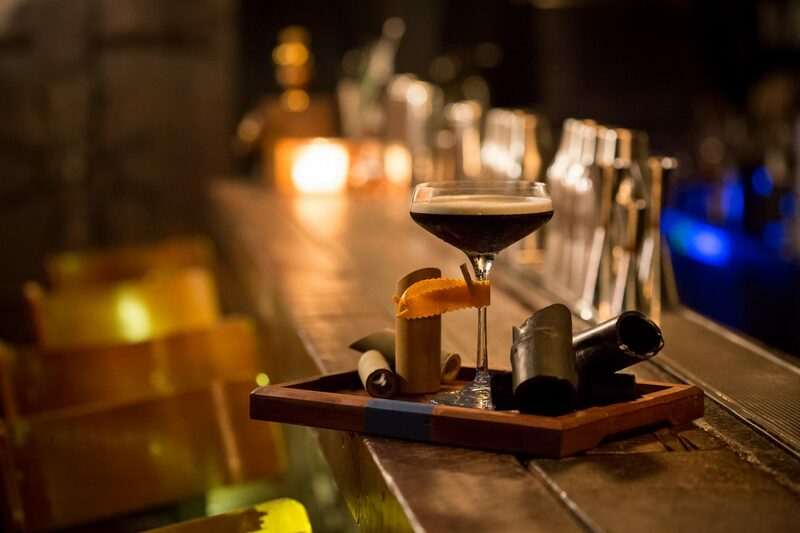 What’s different between for an upscale restaurant like Nobu and a bar like the Vault KL? Very much different. Most people wouldn’t see hospitality as being part of the corporate world but it can be. Nobu has at least 30 over outlets spread out across the world and it’s all controlled by a corporate headquarters. That part controls the standard and quality as well as human resources for every Nobu employee. Even its training comes from there and the menus will have to go through the corporate side of the kitchen. But working at the Vault KL is like at the other end of the spectrum. It’s a much smaller company but it also means that my staff are a lot easier to control, and I can be a bit more relaxed here, which allows me to be more hands-on. Being with a smaller company does have its advantages, like allowing your employees to be themselves; this gives the place more personality. For the cocktail, what is it called and how did you play around the taste of bamboo charcoal? Basically, we call it Black Diamond and the whole idea came from Eastern culture. If I’m not mistaken, the Chinese called it black diamond and they use it for medicinal purposes. It’s been used for quite a long time and I like the name Black Diamond, it has a nice ring to it. Speaking of medicinal purposes, bamboo charcoal has been used before in many dishes and people say there are health benefits to it. Does the same rule apply to cocktails? Well, the phrase “too much of a good thing is a bad thing” applies here. While there are health benefits to bamboo charcoal, you wouldn’t want too much of something that is considered good for you. After the research I’ve done on activated charcoal, it is super absorbent. Not only can it absorb all the bad nutrients, but it can also absorb all the good nutrients as well. Thankfully, it doesn’t absorb alcohol so it helps to bring out the best of both worlds in a cocktail. Originally, activated charcoal was used to cure poisoning. However in East Asia, bamboo charcoal has always been used. Where did your inspiration come from by blending bamboo charcoal with cocktails? I saw the trend that many restaurants were introducing bamboo charcoal into burgers and such. 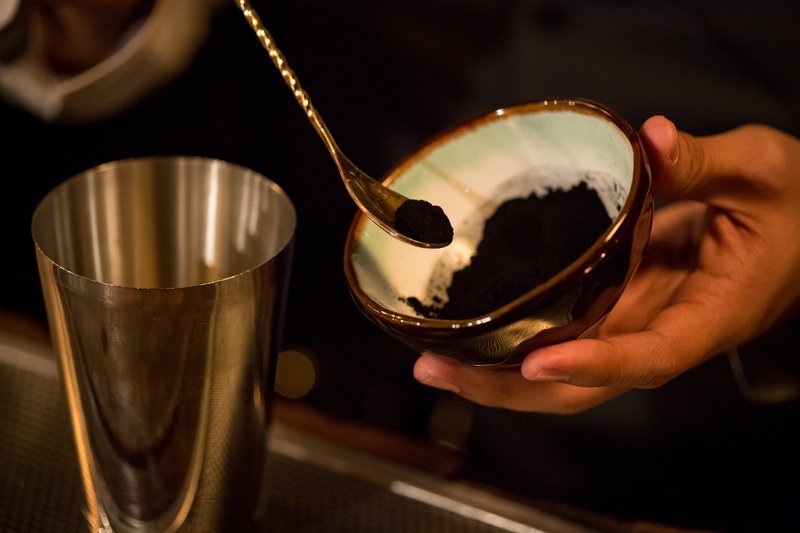 In the United States, there were already people introducing bamboo charcoal infused cocktails, especially in New York. With anything that promotes detoxification, a healthy lifestyle, or even if there’s health benefits, many Americans would jump at it and that is how it became a huge trend. While trends will always be just a trend, I believe that anything that is to be consumed this way should be consumed responsibly, even with alcohol. Of course, it peaked my interest and after doing my due diligence, I wanted to make sure that if I’m doing something, I want it to be done properly. And one of the biggest attractions is its colour, which is very hard to replicate in cocktails. To actually have activated charcoal in a cocktail and to achieve that colour, it’s amazing. So, in all your years of experience, what is the one key element when it comes to creating a new cocktail? As a bartender, I would say balance. If there are too much spice or citrus used, it just becomes overwhelming. To many bartenders, balance is key. However, for consumers, it would be the x-factor. It has to be something that would make customers want to order this particular cocktail again, or what’s so special about it that makes me crave for it. It could be down to its looks or the ingredients used to bring out the flavours that we don’t usually get here. What also plays a big part to consumers is when there’s something new to try, allowing them to experiment. When it comes to Malaysians, it’s very 50-50 when it comes to locals wanting to experiment. Some won’t even consume egg whites, even after telling them that we use pasteurised eggs. I think half of the Malaysian community aren’t that open to being adventurous yet so they would rather play it safe. With the many restaurants using bamboo charcoal powder, do you think it’s being overused in the F&B scene in Malaysia? Not really, I don’t think there’s anyone who has done a cocktail with it. In the food side, yes it has been there for quite some time. I think restaurants started with squid ink first and then moved towards bamboo charcoal. When activated charcoal came into the scene, it offered consumers another option and it gave people a chance to achieve a true black-on-black colour, and what’s not to like? Black is the classic of all classics. If you had to describe the Black Diamond in one word, what would it be? I’d say it’s refined. I say that because I’m using a lot of premium products that go well with bamboo charcoal. Firstly, there’s Brugal 1888, which is double-aged rum; I will then add in some earl grey bitters, which are homemade. I basically combine some earl grey tea with some grain spirits and bergamot orange essence. 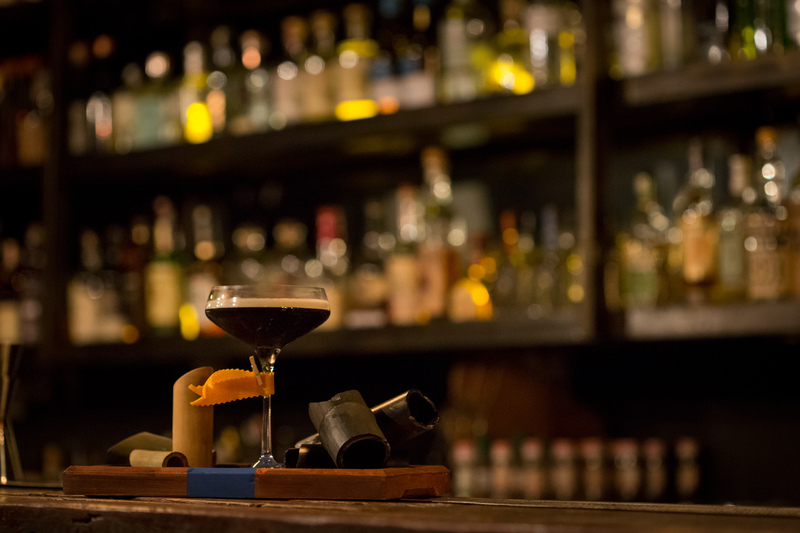 Molasses are also part of the cocktail alongside maple syrup for its sweetness, and it’s topped up with some lemon and yuzu juice to give it its own sweetness and tanginess. That’s where the whole idea came from. I didn’t want to focus on the theme of ‘Orange is the new Black’, but I wanted to incorporate a lot of citrus flavour. When it comes to activated charcoal, there is a slight smokiness to it as well as bitterness so tea came to mind. What sort of flavours can one expect when they order a Black Diamond? Definitely the earl grey tea as well as the rum. What’s great about it is that the rum has very good citrus notes, which was exactly the reason why I went with it. The flavour profile is rich, smooth, and refreshing, making it a cocktail worth ordering.